ServiceMaster Restoration by Complete provides a wide variety of cleaning and restoration services to residential and commercial clients in Old Bridge Township, NJ. 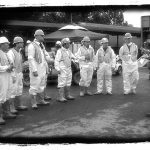 With over a decade of experience, we can manage all types of disaster remediation projects. Our technicians are on call 24 hours a day, 7 days a week to provide comprehensive, reliable services when you need them the most, because disasters don’t keep business hours. We use only the most advanced equipment and products available to the industry to clean and restore items damaged by all types of disasters. We’ve worked on projects of all sizes and have salvaged even the most hopeless looking items. We respond within one to two hours of your call to minimize the damage to your home or business and its contents. We are certified in water damage restoration, applied structural damage, and mold remediation. Call us at (732) 751-4004 for high quality cleaning and disaster restoration services in Old Bridge Township, NJ. Water is the leading cause of property damage because it comes from so many different sources. Floods, sewage backups, and broken pipes are only a few of the ways excess water can enter a home or business. ServiceMaster Restoration by Complete offers full service water damage restoration to homes and businesses in Old Bridge Township, NJ that have experienced water damage for any reason. We use the most effective drying and dehumidifying equipment in the industry, and have years of experience restoring all types of content, including delicate electronics and heirlooms. The Old Bridge Township, NJ area is vulnerable to all kinds of weather extremes that can lead to wind damage and flooding, from hurricanes and tornadoes to heavy rains and thunderstorms. It’s crucial to protect your property from further damage by calling a professional restoration company as soon as possible. ServiceMaster Restoration by Complete provides a variety of flood and storm damage restoration services to help residential and commercial property owners stabilize and repair their buildings before further damage occurs. Our highly trained technicians can restore affected structural elements and content before the damage becomes permanent or mold has a chance to grow. Fires are terrifying because they move so quickly. They cause an unbelievable amount of damage in a short amount of time, which is why you should never do anything but evacuate people from the area. Even after the fire is out, damage continues to occur from soot, smoke, water, and firefighting chemicals. ServiceMaster Restoration by Complete provides comprehensive fire and smoke damage restoration to homes and businesses in Old Bridge Township, NJ that have experienced fires of any size. It’s important to call us as soon as the first responders give permission; the longer you wait, the greater chance that the damage will be permanent. Mold is fine for making cheese but not in your basement. It grows in as quickly as 48 hours after a water leak because the spores are everywhere in the air. Once they find a source of moisture, they attach to a source of food like drywall or wood and start growing. 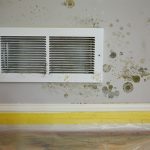 Mold not only rots personal property and building materials, but it irritates eyes, lungs, and nasal passages, even in people without allergies. ServiceMaster Restoration by Complete can eliminate all traces of dangerous mold growth in your home or business in Old Bridge Township, NJ. We use state of the art testing equipment to find mold anywhere, even in hidden places, and we use the most effective products in the industry to eradicate all traces. We rebuild and restore all items damaged by mold growth. 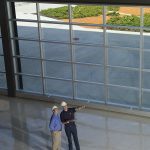 When a disaster affects the outside of a building, chances are the interior will be affected as well. Furniture, electronics, books, and other items can’t be cleaned easily and without prompt remediation from a trained professional company, the damage will become permanent. ServiceMaster Restoration by Complete can restore content damaged by all types of natural disasters in Old Bridge Township, NJ. We clean and restore most items on site, but in situations in which the building has been severely damaged and isn’t structurally stable, we provide pack-out services. We carefully inventory and pack-out your items and transport them to our facility for restoration. We will store them at our secure facility until your building is ready, and then deliver them back to you. The carpet in your home or business says a great deal about the room and you want to ensure it’s sending the right message. Carpets that are dirty, stained, and worn can make even the most beautiful space look poorly maintained. Daily vacuuming can’t reach the dirt and debris that gets pushed deep down into the fibers by daily foot traffic. 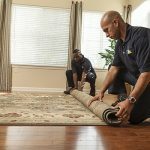 ServiceMaster Restoration by Complete provides quality carpet cleaning services to clients in Old Bridge Township, NJ to restore carpets to their original beauty. Our professionals use the hot water extraction method to remove dirt, odors, and stains that are deeply embedded in carpets, leaving them clean and fresh smelling. This method ensures that they dry within 24 hours with no residue. Hard surface floors, including wood, vinyl, laminate, and tile, are extremely durable but require regular maintenance to keep them looking their best. Daily foot traffic and debris wear down the finish and fill in tiny cracks and crevices. This causes minor surface damage and makes floors look old and dingy before their time. ServiceMaster Restoration by Complete cleans all types of hard surface flooring in commercial and residential settings in Old Bridge Township, NJ. The products and equipment we use safely and effectively remove all traces of dirt buildup without causing further damage to floors, and help restore their original appearance. The upholstery on your furniture takes a beating on a daily basis. Dirt and stains discolor the fabric and debris rubs against the fibers, wearing them down and leading to thin spots and eventually holes. Odors make it unpleasant to sit on furniture for even a short amount of time. Even if you ban eating on upholstered surfaces, dirt, and debris will still find their way onto the fabric and lead to early wear and tear. 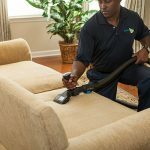 ServiceMaster Restoration by Complete offers quality upholstery cleaning services to homes and businesses in Old Bridge Township, NJ to remove the toughest dirt, stains, and odors from your upholstered furniture. 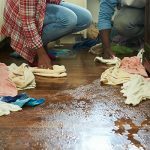 Everyone knows the importance of keeping a home or business clean, but sometimes the cleaning products used can cause more of an environmental headache than the original problem. Harsh chemicals and volatile organic compounds, or VOCs, can have negative effects on the environment and on the health of people with certain medical conditions. ServiceMaster Restoration by Complete uses green cleaning products for our cleaning services in Old Bridge Township, NJ to lighten our carbon footprint and protect the environment. The products we use are approved by Green Seal and Environmental choice, and give the same excellent results as the traditional products that use harsh chemicals and VOCs. 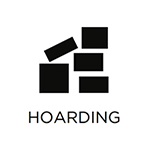 Hoarding is a difficult situation that many people struggle with. Due to underlying anxiety or depression issues, people feel compelled to collect items, or are unable to throw things away, even when it accumulates to unsafe levels. ServiceMaster Restoration by Complete works with people who have loved ones in Old Bridge Township, NJ who are struggling with hoarding issues. Our caring professionals have years of experience dealing with all sizes of hoarding cases, and we treat the affected individuals with respect as we work with them to restore the home. In the aftermath of a disaster, there’s no telling what kind of reconstruction work your building may need. At first glance, it may look like roof damage, but on closer inspection, you may discover broken pipes, cracked beams, and a flooded fuse box. It’s hard to find one trustworthy tradesperson, let alone several all at once, plus someone to oversee the project. ServiceMaster Restoration by Complete has a team of experienced professionals who can rebuild all types of damage to homes, high rises, multitenant buildings, and more in Old Bridge Township, NJ. We manage the entire construction project so you can take care of other matters. Every day, a trauma scene takes place somewhere in the U.S., mainly due to an accident or violent crime. While nobody likes to think about it, it’s important to know what to do in case you find such a scene on your property. First, call 911 and leave the area; it may be a crime scene and the presence of biohazard materials like blood and bodily fluids makes it dangerous. Next, call ServiceMaster Restoration by Complete for biohazard and trauma scene cleaning in Old Bridge Township, NJ. We’ll arrive quickly and discreetly to clean and sanitize the area and we’ll work in cooperation with law enforcement authorities to avoid compromising an investigation. 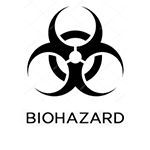 We remove the biohazard materials in approved containers and take them to a licensed facility for legal disposal.